Great location, country setting yet close to town! Lots of space in this 4 BR/2 full bath, tri-level home. 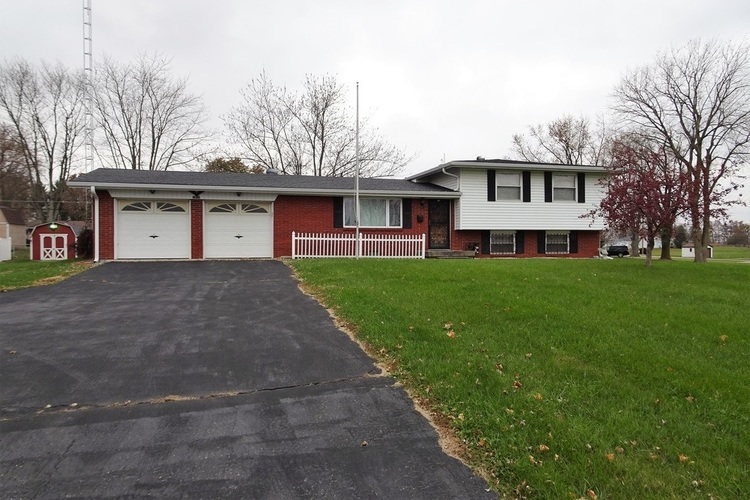 This home sits on 2 lots with total of .91 acres and features a lg. living room, formal dining room, kitchen with breakfast bar overlooking the screened in back porch and back yard. A full bathroom and 2 car attached garage with work space finishes out the main level. Lower level offers huge family room, bedroom and large laundry room. On the upper level you will find a spacious master BR w/ access to the 3 pc bath, and two additional bedrooms. This home would be great to entertain and enjoy the large yard and beautiful country views. Directions:From 3/38: S on SR 3 to Riley Rd. E on Riley Rd to SR 103. S on SR 103 to property.